Great versatility and functionality at an affordable price. 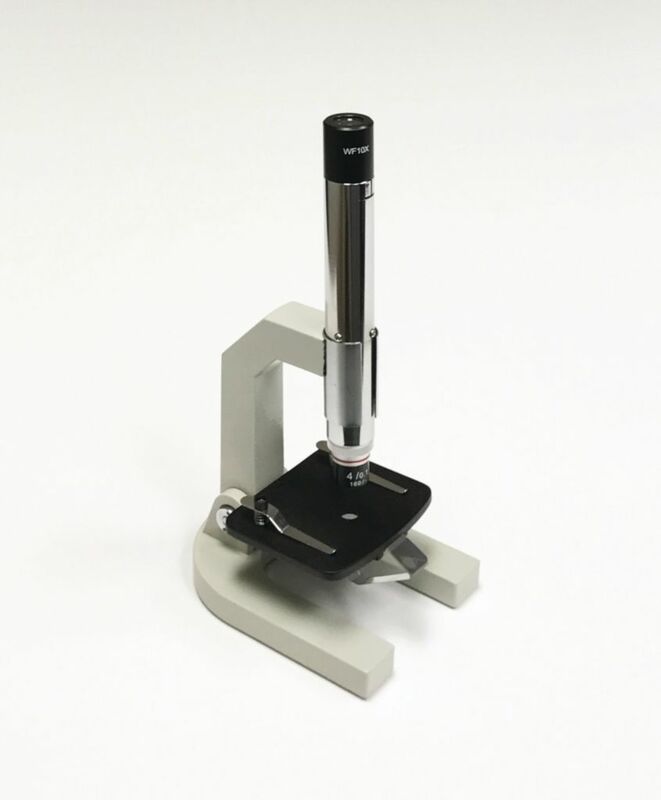 This durable introductory microscope is ideal for classroom or field use. The microscope body, viewing tube and stage are constructed of cast metal. A light-gathering prism provides sub-stage illumination by using ambient or room light and the tilt mechanism enables user to adjust the angle of the viewing tube.